Have you ever dreamt about designing your perfect wedding dress? Maybe you have tried to find “the one” and just can’t find what you’re looking for. Perhaps you liked two dresses, but only the top part of one and the bottom part the other and are looking for ways to combine the two. No matter your reason for wanting to have a custom wedding gown, there are 3 main things you should keep in mind when you come to this decision. Even if you know exactly what you want right out of the gate, it’s recommended that you try on wedding gowns first before committing. The reason is, you might change your mind once you see how certain shapes and styles of dresses work with your body type. You might dream of a mermaid style gown, but once you try one on, you notice that it doesn’t flatter you very much. 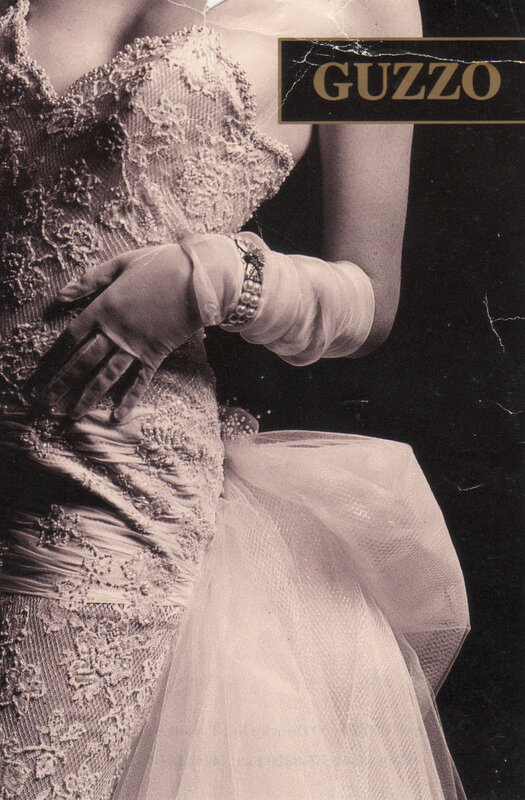 Or maybe you’ve dreamt of a dreamy ballgown, but don’t realize how heavy they can be until you actually have it on. Another reason, is that it gives you ideas. Once you’ve tried some on, you can take the bits and pieces that you liked best and use them as a sort of formula to create the gown of your dreams. Who wouldn’t want that?! Come prepared to your consultation to discuss the cost of your gown. The designer will then be able to let you know what fabrics you can choose from or if you can afford to do the layers of fabric necessary to fill out your dream ballgown skirt. Be open to make adjustments along with the designer who will be doing their best to get you what you want. Also know that if you change your mind throughout the process (which can happen) it can add up in costs as well. Making a custom dress takes time. It’s an art, and Whyte Couture definitely puts their love into each custom creation. It’s recommended to come with at least 8-12 months lead time before your wedding day. 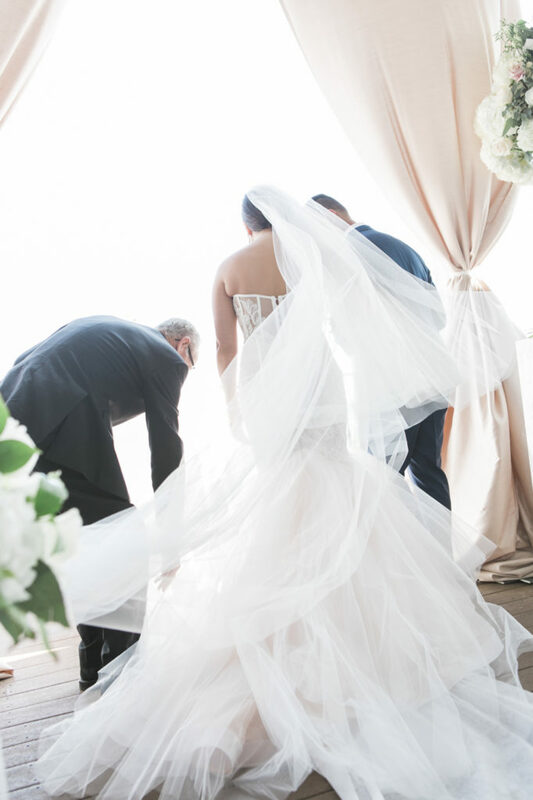 A custom gown requires more fittings than buying a standard gown (approximately 6, click here for details on “The Experience”). At each step of the way you are the model for your dress. You’re there through the whole process, ensuring along with the designer, that the gown fits within your vision. Did we say top 3? We meant top 4. Have fun with it! It’s an amazing process and it should be enjoyable. Be sure the designer of your wedding dress is someone who makes you feel comfortable. At Whyte Couture, we have a special bond with each one of our brides. Bringing your friends or family to your appointments is encouraged. 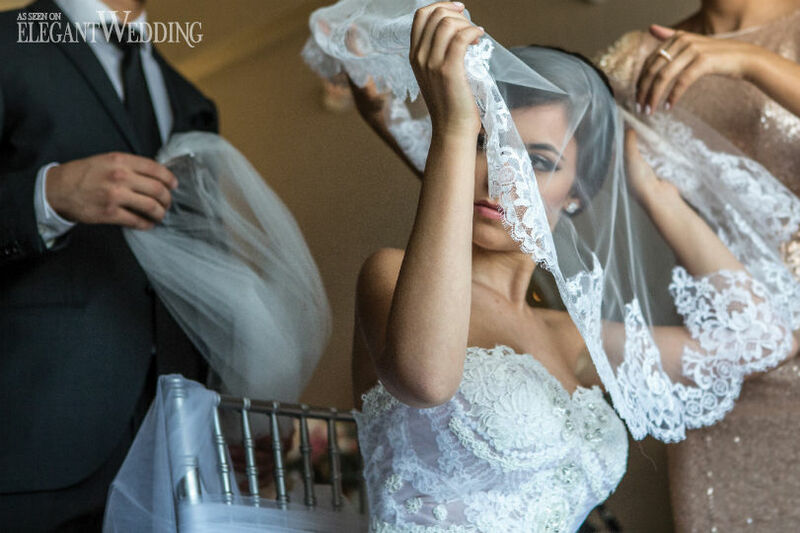 We love making our brides dreams come true! If you have any further questions about designing your custom gown, please head over to our contact page and reach out. We would love to meet you! Francesca Guzzo-Whyte’s original creations stand as a testament to the unique and innovative dress designs she produces today. 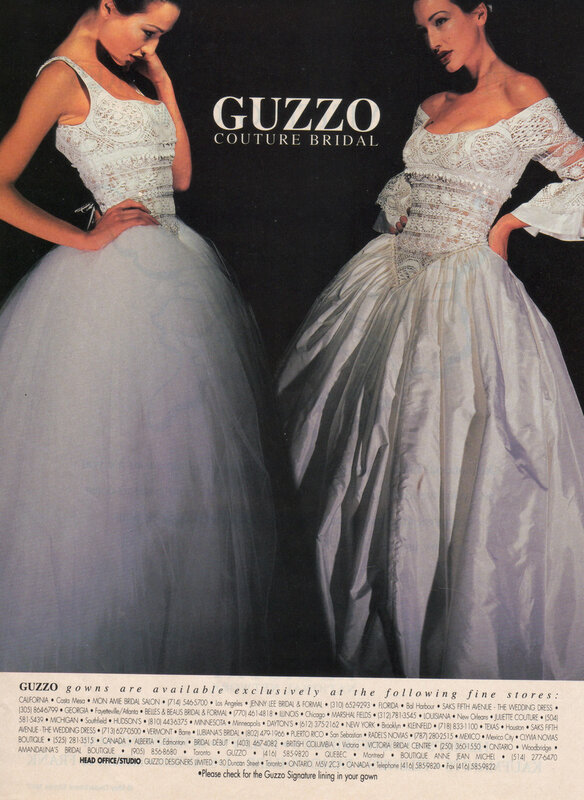 These vintage Guzzo dresses show how the exclusive ‘Whyte’ wedding dress has evolved over the decades. 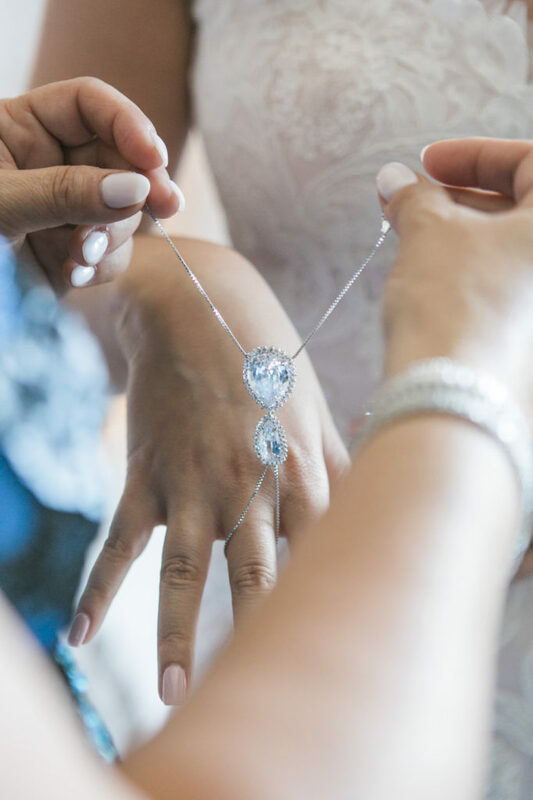 To further enhance each Bride's exquisite Wedding dress, Whyte offers an exclusive collection of accessories such as veils, headpieces and jewelry. Copyright © Whyte Couture 2017. All Rights Reserved. Designed and created by Seppi Design Inc.